A well-regarded, two-year-old, high-end restaurant that focuses on globally inspired tapas style small plates. New Chef, Carl Foronda, has overhauled the restaurant’s entire menu with dishes that include influences from his Filipino heritage. October 11, 2012: my life would never be the same. That was the first time Amy brought me out of Austin to the outlying barbecue mecca Lockhart to experience truly authentic Texas barbecue. That day, we hit three BBQ pits in a row and on this day, two years later, I was back to relive the best of the best. There are a number of places in Lockhart to get ‘cue, but for my money, Black’s Barbecue is the place to go for their truly iconic Moist Brisket. 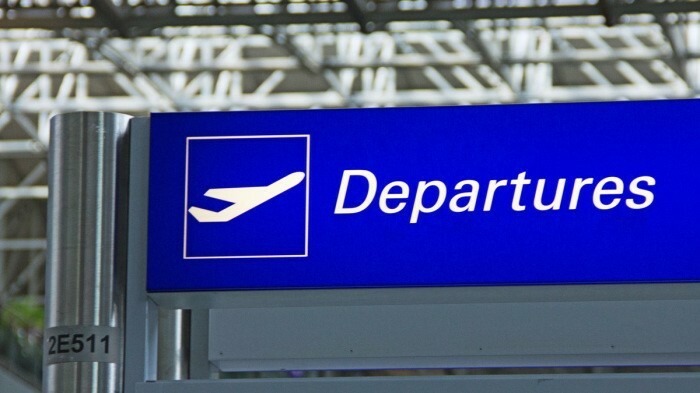 As we pulled up to the place, I could hardly hold back my excitement. I whispered as we walked towards the building “Amy, this is my Disneyland,” as a grin uncontrollably spilled across my face. For me, this is the Happiest Place on Earth. As far as I’m concerned, the stuff served at Black’s is nothing short of the best barbecue beef brisket in the entire world. Contrary to popular belief, awesome barbecue does not just fall from the sky in Texas. In fact, most of the dining options in smaller North Texas towns like Denison are just chain restaurants with names like North Rig Grill, Cotton Patch Cafe, and Cracker Barrel Old Country Store. But, through the haze of generic chains, a different more familiar kind of haze caught my eye. Yes, that smoke was emitting from a barbecue smokehouse. In a shack, set back behind a gas station off the highway, I noticed grey smoke billowing up into the sky. 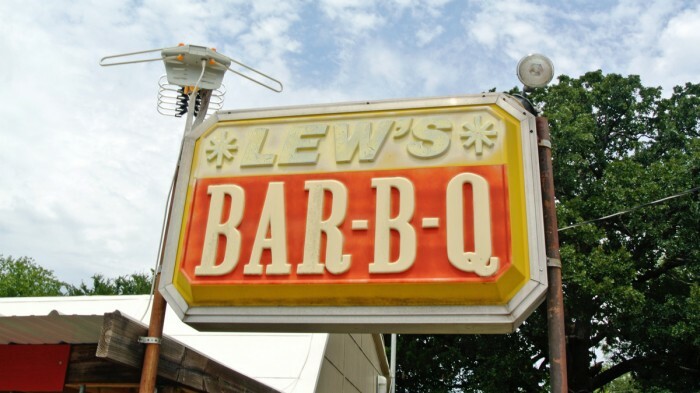 And next to it, another slightly larger shack bearing both the name Lew’s and Randy’s with a line of people leading up to the ordering window. It’s not always easy to find quality restaurants in Silicon Valley, but Mountain View has proven time and time and time again that there’s some really excellent places to eat and drink on their main downtown drag. There are not many restaurants that I have loved enough to eat at multiple times out here, but Scratch has sort of become my go-to, not-sure-what-I’m-in-the-mood-for dinner and drinks spot. With my Texan girlfriend leading the way and teaching me everything there is to know about true Texas ‘cue, I’ve become a bit of a barbecue aficionado, as regrettably also a bit of a snob. I’ve had enough experience consuming the real stuff to know what makes good and bad BBQ and NYC has plenty of each. I’ve travelled around NYC, throughout the boroughs, to Cochon 555, and The Big Apple Barbecue Festival a number of times. Hell, I’ve even been to a barbecue head-to-head event where many of NYC’s top BBQ producers go to show off their chops. I think I’ve got a pretty good handle on what’s what in the New York BBQ world. There’s been much written lately about the booming NYC barbecue scene, but I’ve often found myself disappointed with many of the most highly-regarded, hyped, big-name places. But there also really is some incredible barbecue to be had around NYC. I’ve written previously about my love for Mighty Quinn’s and I think that Danny Meyer’s Blue Smoke is pretty phenomenal, but I think the best of the best might be at the old Brooklyn mainstay Fette Sau in South Williamsburg. 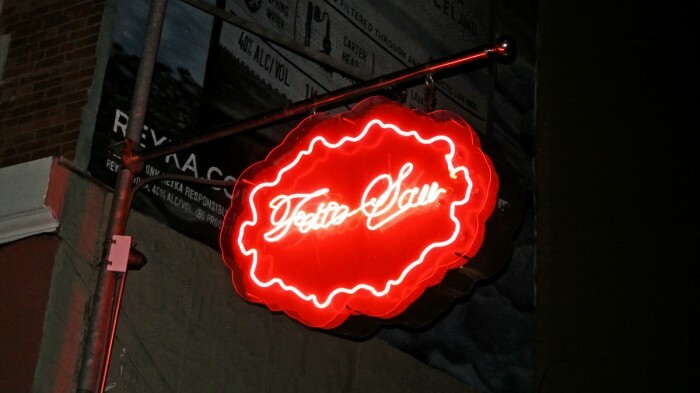 Fette Sau’s name means “Fat Pig” in German and that’s exactly how you’ll feel after indulging in a meat-tastic gorge-fest there. Last December, on a two-day trip to New Orleans, I had one of the most incredible meals of my life at Cochon Restaurant. We indulged in a variety of amazing specialties like Fried Alligator, Fried Boudin, Rabbit & Dumplings, Sweet Potato & Hog Jowl Casserole, and Chocolate Peanut Butter Pie. After spending two days in rural Opelousas, Amy and I drove to New Orleans for a 24-hour stopover and made sure to have a reservation to return to Cochon for another insane meal. 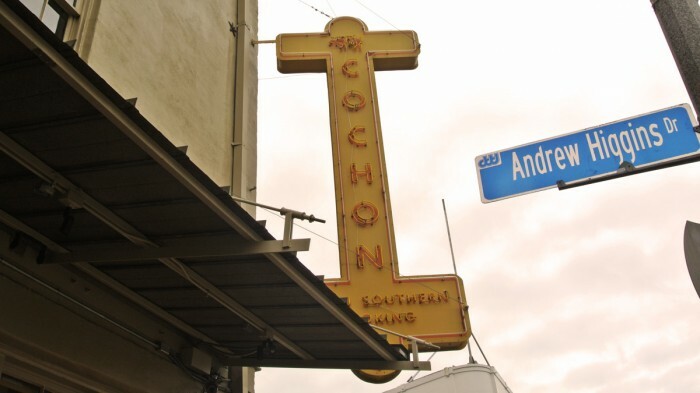 Located in the Warehouse District of New Orleans, only about a 15 minute walk south of the chaos of the French Quarter, Cochon, helmed by executive chef Donald Link, serves up mighty fine, upscale takes on hearty, Southern and Cajun cuisine. Whether you’re in town for Mardi Gras, Jazz Fest, or for no particular reason at all, I urge you to make Cochon one of your dining destinations.